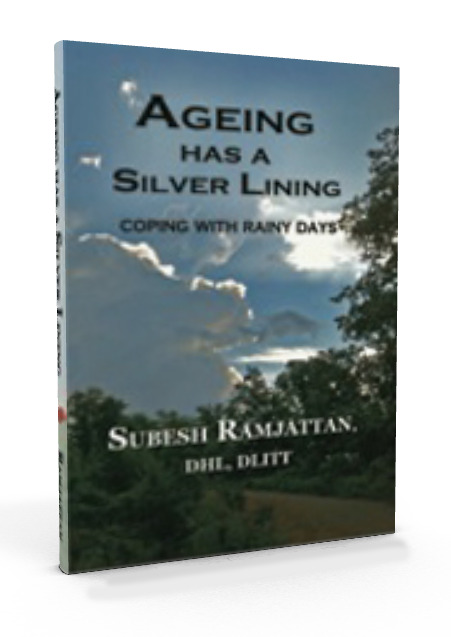 Ageing Has a Silver Lining is a book with an intriguing blend of science, philosophy, and homespun wisdom on ways that we might live the last years so that we might find the meaning in life that we seek. -Prof. Lee Elliott, Director, The Wonderful Life Project. This book is both an unusual and useful book which contains the distillate of practical experience and reflection. It has universal appeal and is based on the fact that every thinking and reflective reader will learn something from the experience of a wise and perceptive guide. E. Basil Jackson, MD, PhD, JD, DSc, Distinguished Professor of Medicine, Psychiatry and Law. A must-have book. Observing his parent's ageing process, the author was able to identify significant challenges of the progression. -Trevor Rex Baddaloo, Certified Human Behaviour Consultant, Regional Manager South--The Maritime Financial Group. This exceptional work is one of the most profound, practical, principle-centered approaches to this subject of serving and giving to humanity I have read in a long time. -Dr. Myles Munroe, Chairman, International Third World Leaders Association.